A place to grow in faith, hope, and love. Sanctuary is a United Methodist Church located in Marana, Arizona (Northwest Tucson).  At Sanctuary UMC we SERVE God, CONNECT to our community, JOURNEY together, and INSPIRE love. Our vision and purpose is to be the kind of church where anyone is welcomed. If you have never stepped in a church or if it has been many years, we want to make sure you feel comfortable from the moment you step in our doors. 7:45 a.m., 9:00 a.m., 10:30 a.m.